The Dish with DDR: Beauty Foods Fit For Thanksgiving! 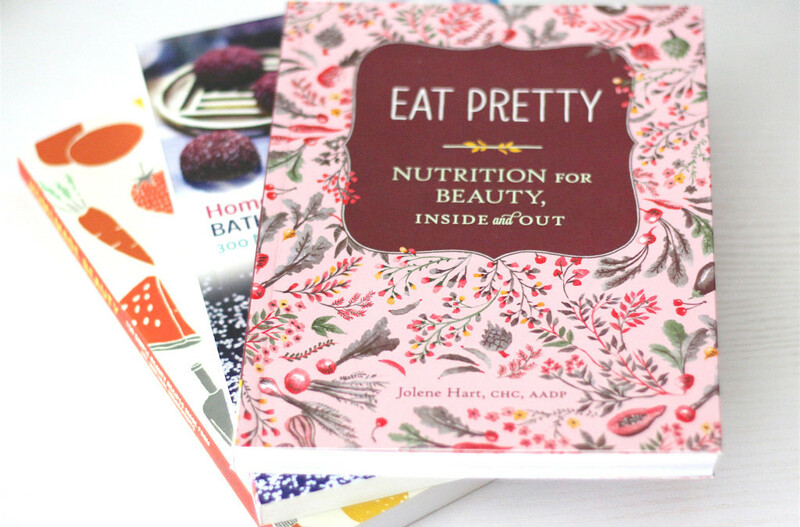 Eat Pretty, one of my go-to books to learn about the best wholesome foods to feed my beauty regime, will come in handy this Thanksgiving (and fall season). Treat yourself with delicious foods that are filled with antiaging properties and nutrients to give you your best complexion ever! A good complexion starts from within. What are you feeding your body? Do you drink enough water on the daily? Are you getting a decent amount of vitamins from natural sources? These are all very important elements to maintaining a youthful and healthy appearance. Apples Quercetin Defends against wrinkles, detoxifies body, keeps breakouts at bay. Acorn Squash Iron Strengthens hair and nails, healthy bones and teeth. Broccoli Vitamin C, K, and Sulforaphane Collagen builder, wrinkle & stress related preventer. Butternut Squash Beta-Carotene & Vitamin E Skin smoother and healer, hair nourisher. Cranberries Flavonoids Packed with antioxidants, keeps skin glowing, keeps wrinkles at bay. Escarole Vitamin A, C, & K Collagen builder, reduces dark circles. Figs Amino Acids & Omegas Boosts blood flow to skin, antiaging properties. Sweet Potato Vitamin A, C & B6 Repairs and smoothes skin, good for healthy hair and beauty sleep. One of my fave recipes to make, that incorporates some of these fine fall foods, is from the Tone It Up Nutrition Plan. The Sweet Potato Breakfast Cookie is packed with nutrients, antioxidants, protein and they taste soooo good. A perfect choice for a quickie breakfast or snack! In a large mixing bowl, mix together the sweet potato puree, peanut or almond butter, agave, and flax-water mixture. Add gluten free flour, vanilla, spices and salt. Add baking soda. Mix together thoroughly. Then add cranberries, pecans, and coconut flakes. Mix again. Drop 3 Tbs. per cookie on a parchment covered cookie tray. The batch should make 12 medium sized cookies. Bake at 350 degrees for 25-30 minutes. Let cool 15 minutes before eating! Keep in a sealed container for fresh, nutritious breakfast or snack! I hope you try these cookies and take advantage of all the delicious foods mother nature has to offer this season! This post is not sponsored. All thoughts are unbiased and my own. I referenced the book Eat Pretty by Jolene Hart and my personal Tone It Up Nutrition Plan for the recipe. It’s such a good reference to have on hand!